For Honor Season Six, titled Hero’s March, kicks off on May 17, adding a new map, a new seasonal event, major updates for two Heroes, and a feature that lets you keep and reapply cosmetic looks for your gear without cluttering your inventory. And if you’ve held off on joining the battle between Knights, Samurai, and Vikings until now, you can jump in for free this weekend on all platforms, and grab the game for a hefty discount if you want to keep playing (and keep your progress). Hero’s March adds the new Beachhead map for free, letting players battle for its fortress in all multiplayer modes except Tribute. Additionally, the Orochi and Peacekeeper will receive major gameplay reworks, and you’ll find details on these balancing updates on the official For Honor site before Season Six’s launch. Hero’s March also includes the Visual Collection, a new feature that lets players track their cosmetic visuals in a menu separate from their inventory, and then apply them to any gear they have, meaning you won’t need to hang on to excess gear just to hang on to its look. Finally, the launch will also kick off with a new seasonal event, which will be detailed closer to release. 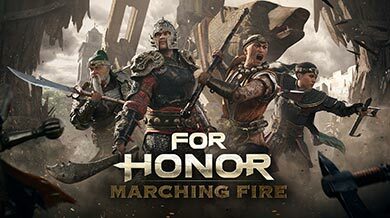 These changes come on the heels of more than a year of tweaks, improvements, and additions to For Honor – including dedicated servers and a new, more in-depth training mode – ensuring that players who join up for the free weekend will experience the best version of the game to date. The free weekend starts May 3, with PS4 and Xbox One servers opening at 1:00AM PT, and PC servers (via Uplay and Steam) opening at 11:00AM PT. (Note that PS Plus or Xbox Live Gold are required to play online on consoles.) 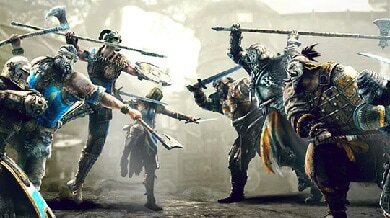 During the free weekend, players will have access to everything in the standard edition of For Honor, including every multiplayer mode and the campaign, which can be played solo or in online co-op. The event closes on May 7 at 12:00AM PT on consoles, and on May 6 at 2:00PM PT on PC. Additionally, Uplay and PS4 players can start preloading the game right now. 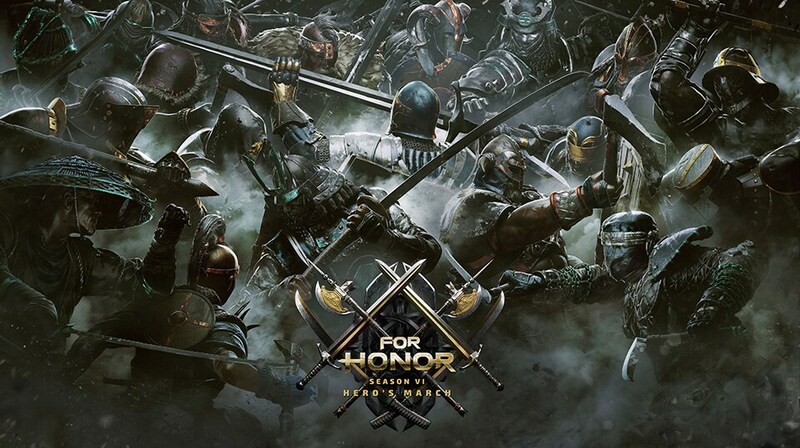 If you already own For Honor, you can participate in the Warrior Training Program during the free weekend; complete five matches with free weekend players, and you’ll get the revamped Champion Status for two weeks, which earns you additional loot and team XP bonuses after each match. Also, new players who want to continue battling and progressing after the free weekend is over can get the game at a 67% discount, which applies to the Standard, Deluxe, and Gold editions until May 15. The Season Pass is also available at a 60% discount during the same period, granting immediate access to the six Heroes added to the game since launch. For Honor is available on PS4, Xbox One, and PC.